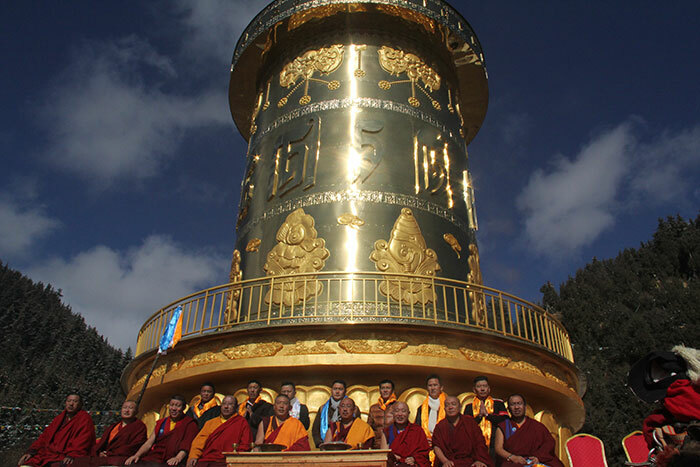 In November 2014 in the Zinchu village of Amdo, Tibet, a large copper and gold prayer wheel was installed along with a unique image of the Namchu Wangden of Yungdrung Bön. 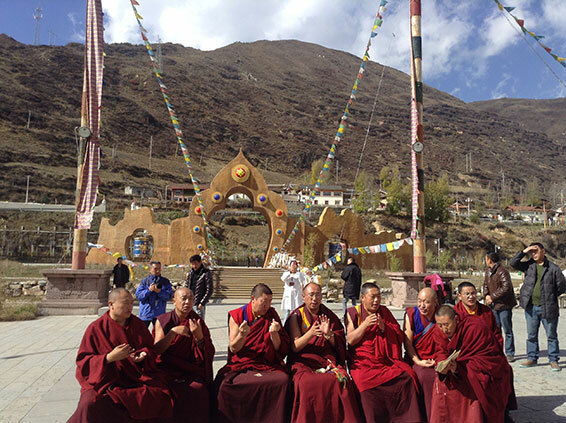 Both were consecrated during a ceremony that was attended by many Yungdrung Bön lamas who had traveled to the area for the occasion. Lamas attending the ceremony included the great abbot Sherap Yungdrung Wangyal Rinpoche, the tulku of Nangzhik Sherap Özer Gyaltsen Rinpoche, the tulku Rikdzin Nyima, the abbot Khenpo Tsering Norbu, the esteemed teacher Rakshi Künsal Nyingpo, Lama Drebu Bönzin, Geshe Tenzin Drukdak and others. The Namchu Wangden of Yungdrung Bön is a symbol of great protection and contains the seed syllables of the 720 deities. Displaying this image protects from destruction by the five elements as well as protecting the life-force, health, personal power and lungta. It gives protection from the Eight Classes of Beings as well as astrologically negative events. 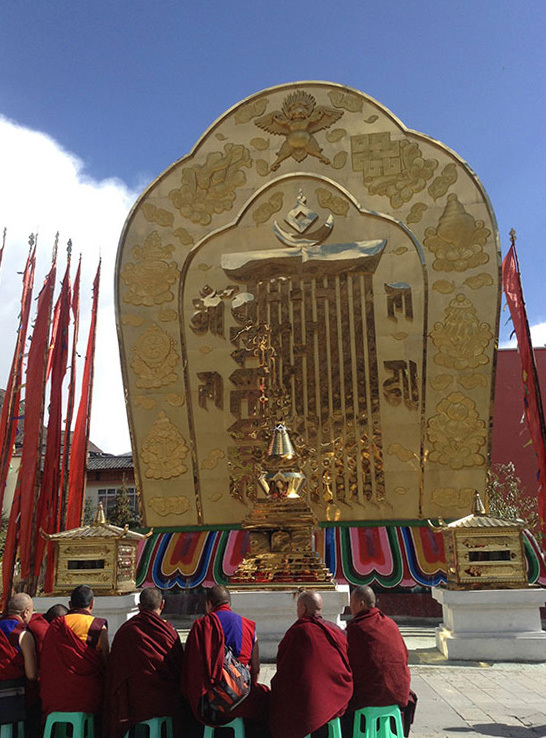 The original article related to this consecration ceremony appeared on the Tibetan language website http://himalayabon.com/news/2014-11-16/486.html#jtss-fb. You can find the complete article and more photos by following the link. Posted on November 29, 2014, in Prayer and Ritual, Tibetan Astrology, Tibetan Lamas, Uncategorized, Yungdrung Bon Sacred Symbols and tagged five elements. Bookmark the permalink. 1 Comment.